The perfect costume must be properly accessorized, so you have searched far and wide. Well, look no further. 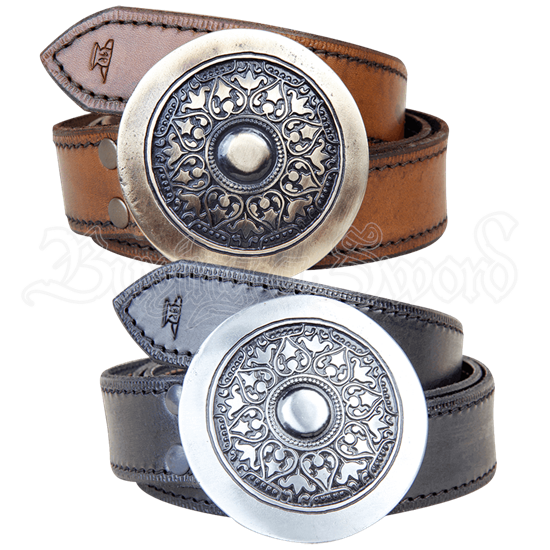 Nothing adds the final touch to fantastic attire quite like the beautifully designed Medieval Shield Buckle Belt. Observe the medieval floral pattern that adorns the shield-like clasp. Admire the nicely stitched thread that runs along the textured edging of the leather belt strap. 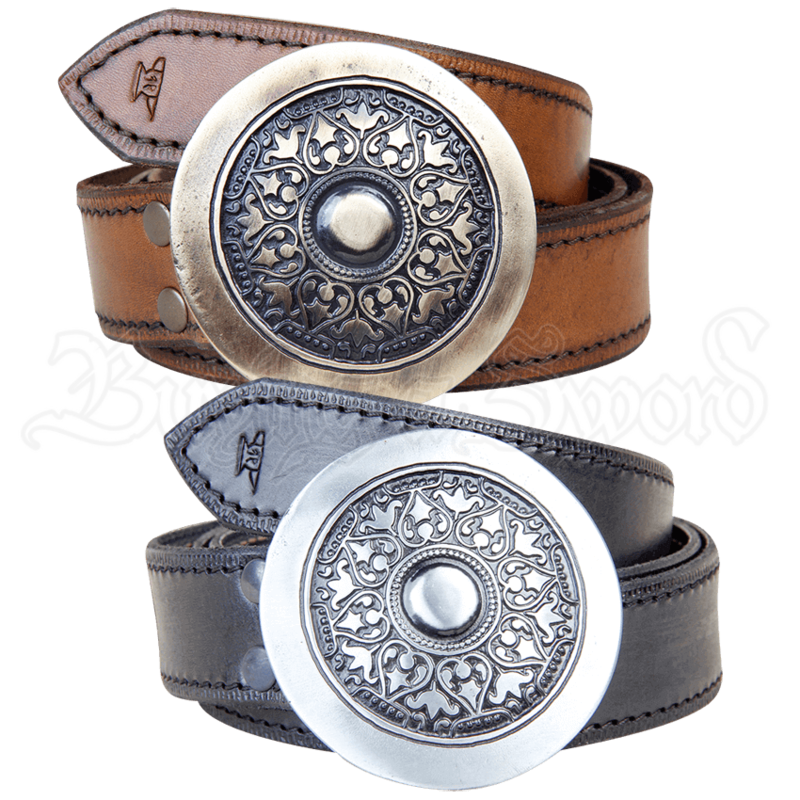 This ornate buckle belt features a thick thorn and closing pin to ensure a secure hold around your waist.